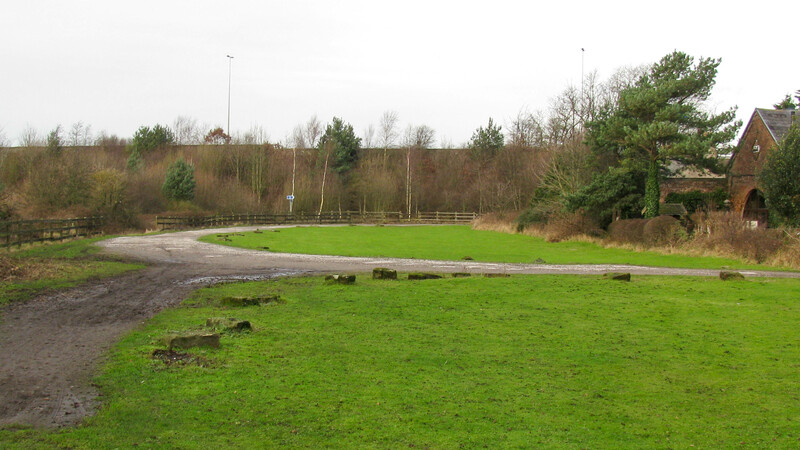 The grass marks the line of the canal which heads straight for the embankment of the modern M62 motorway. There’s certainly enough height difference to construct a bridge for the canal but that will be an expensive solution. For now, walkers and cyclists are diverted to the right onto a narrow road which passes under the motorway. There’s a slim possibility the canal could be diverted to share the same bridge, and if this was a narrow canal that might be possible, but I think it’s unlikely you could squeeze a broad canal through, including the maneuvering areas for the sharp turns.